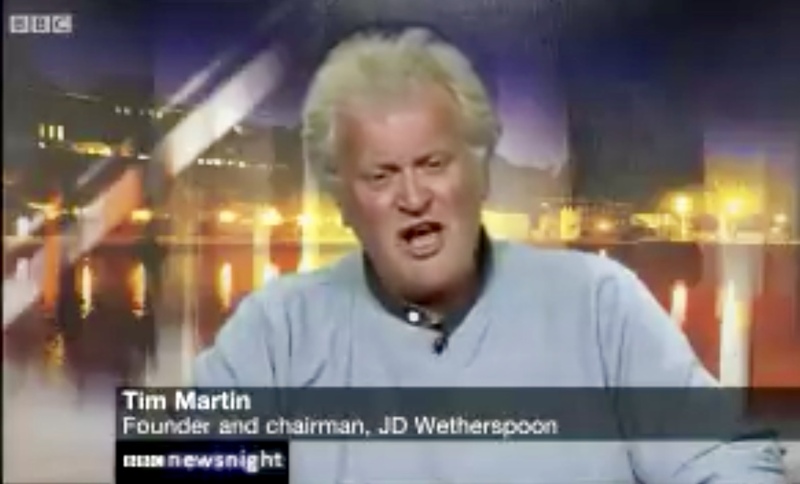 It’s quite rare for one of my tweets to be shared so widely (photos of dogs in the vines have limited appeal) but this Tim Martin tweet of mine was viewed over 250,000 times, according to Twitter, and my little thread – a string of connected tweets, otherwise known as a rant – had over 1300 retweets. Oh, and there’s a free trade agreement between the EU and Chile (the 32% tariff claimed by the Brexiter MEP Dan Hannan a little while back was utter hogwash) and most South African wine carries no EU tariff. 8p? Tim’s no fool: no one is going to ask, in a few years, why the wine isn’t any cheaper. Or point out that the fall in the value of sterling following the Brexit vote has increased the cost of the product more than the EU tariff ever would. The EU tariff on wine from Australia is €0.099 ltr for wine <13% abv shipped in bulk (80% of Aus wine to UK, by vol) or €0.121 >13% abv. This is sent to friends on our mailing list.